If you’ve ever been interested in overclocking then you might already know that picking the right CPU can be a daunting task on your PC build. There are so many variables to worry about including power consumption, heat output, and whether the thing can even be overclocked to begin with. Well if you’re looking for information about the best CPUs to overclock, then you’ve come to the right place. We used our expertise to do the research, and compiled our findings here for you. Below you’ll find our reviews of the top 6 overclocking CPU picks, as well as a guide as to what to look for to pick the best one to suit your needs. The first processor we’ll be looking at is also by FAR the most expensive and most powerful. 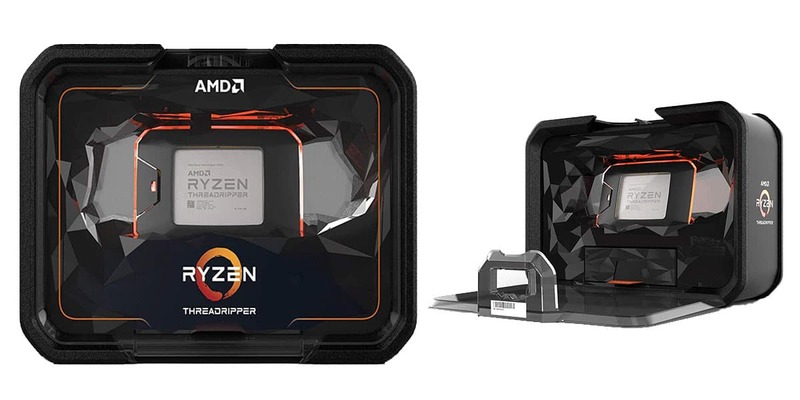 The AMD Threadripper comes with a multitude of cores, PCIe lanes, and cache that literally blows anything else out of the water. There truly is no comparing the processing might of the Threadripper with anything else. This CPU is the world’s first desktop processor with 32 cores and a jaw-dropping 64 threads. And don’t think you’re making the trade-off that many processors make of more cores at the cost of lower clock speeds. This CPU clocks out of the box up to 4.2GHz. To feed all of these cores, the processor packs an astounding 80MB of cache memory that runs at lightning fast speeds. The Threadripper also boasts an industry leading 64 PCIe lanes, which allows it to easily be paired with multiple graphics cards, network cards, and a variety of other PCIe expansions. If you buy this processor, AMD assumes you will be pairing it with a beefy cooler as they don’t include one in the box, and let’s be honest, who is going to spend THIS MUCH on a CPU if they’re not planning to buy a top of the line cooler anyways. This thing produces a lot of heat , and if you plan to overclock it, you probably want to get water cooling for it. The 2990WX is the only processor on our list over $1000, but you are paying for top of the line performance. If you have an intensive workload like video rendering or streaming, or are aiming to break benchmark world records, then this is the processor for you. The second processor we’re looking at is another Threadripper. That’s how overpowered this CPU is, it takes the number one and number two spots on our list. The 2950X is in most ways, a cut in half 2990WX, including the price. This price slash puts it under the $1000 mark, which is a ridiculous price for most people. This model of Threadripper comes with 16 cores and 32 threads, which is exactly half of the 2990WX. It also features 40MB of cache, again, exactly half of the previous chip we looked at. While it is downsized in some places, there are others where the 2950X still shines. It still has the same 64 PCIe lanes as its big brother, meaning you can add tons of graphics cards and other PCIe expansions without worrying. This CPU also has a higher clock speed out of the box of 4.4GHz. Another place where things don’t change much between the 2990WX and the 2950X is the heat output. This processor puts out lots of heat from all of its high-performance cores, meaning you’ll have to pick up a powerful cooler if you want to push it to its limits with overclocking. 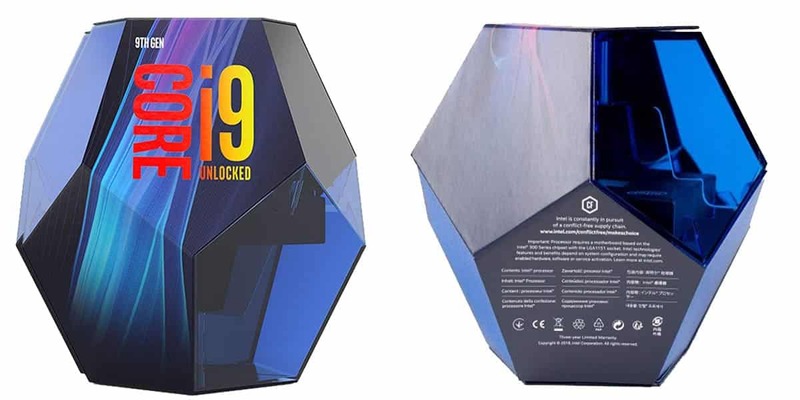 The first Intel contender in our roundup is the Core i9-9900k. This chip is in many ways Intel’s response to the release of AMD’s Threadripper, but falls short in a number of ways. 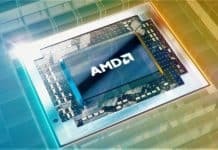 While AMD has focused their efforts on multi-core performance, Intel has focused on chasing higher clock speeds. The result of their efforts is the impressive maximum clock speed, without overclocking, of 5GHz on this processor. While the 9900K does beat out the Threadripper in single core tasks, it only has 8 cores and 16 threads to work with. Don’t get me wrong, it is by no means a slouch, and 8 cores is ample for almost all workloads. However, when comparing it to the up to 32 cores of the Threadripper, it simply pales in comparison. This processor also “only” has 16MB of cache, which yet again is enough for pretty much anyone, but is less than half of even the lower tier Threadripper. The i9 does, however, boast onboard graphics, which the Threadripper does not have. This means you can get slightly higher performance in a number of applications without a video card. Just don’t expect to be playing the latest games on max settings with the integrated graphics. This CPU is considerably more affordable than the previous ones we looked at, and begins to come within the realm of reason for more people. Cooling is also much less of an issue with this, as it has less than half the thermal design power of Threadripper chips. With some decent cooling, the i9 makes a great workstation and overclocking chip for the masses. It’s not as insanely priced as Threadripper, but still packs enough of a punch for almost any application. Its more manageable heat output also makes it more overclockable, and with some tuning, this chip can annihilate streaming and rendering workloads. Stepping away from the world of professional grade chips geared towards workstation use, we enter the realm of consumer-grade hardware. 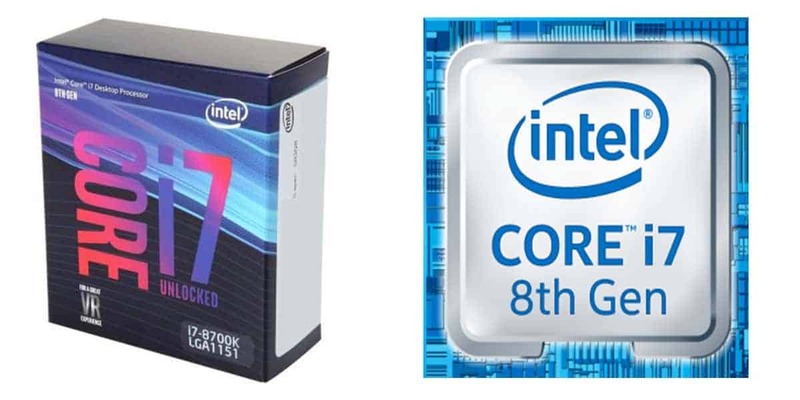 The i7-8700K is an eighth generation CPU from Intel that is great for overclocking if you plan to use it for gaming or everyday use rather than record-breaking. This processor represents a significant step down from the others we have looked at, but still boasts a respectable amount of number crunching power that will keep your PC running insanely fast for years to come. The 8700K has 6 cores with hyperthreading giving it 12 threads. This has a max turbo frequency of 3.7GHz out of the box, and a 12MB cache to keep it fed. Much like the i9, this processor includes integrated Intel UHD graphics processing, making it possible to play some games without a GPU. Integrated graphics processors are not nearly as powerful as discrete graphics cards, but will make your experience using the computer feel smoother and run better. All Intel processors with “K” in their SKU are fully unlocked, meaning they are designed for overclocking. Intel rates this chip to run as high as 4.7GHz when properly overclocked and tuned, and with proper cooling and power delivery you can likely get even higher. At overclocked speeds with its 6 cores, this i7 CPU provides ample power for gamers and streamers at a much more reasonable price than the work station class chips we looked at earlier. The last two processors we’ll be looking at are both very affordable options from AMD. 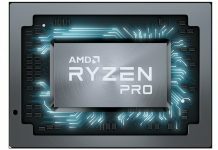 AMD takes the cake when it comes to budget overclocking with their Ryzen lineup because they make ALL of their Ryzen CPUs “unlocked”, unlike Intel, which charges a premium for the ability to overclock your chip. 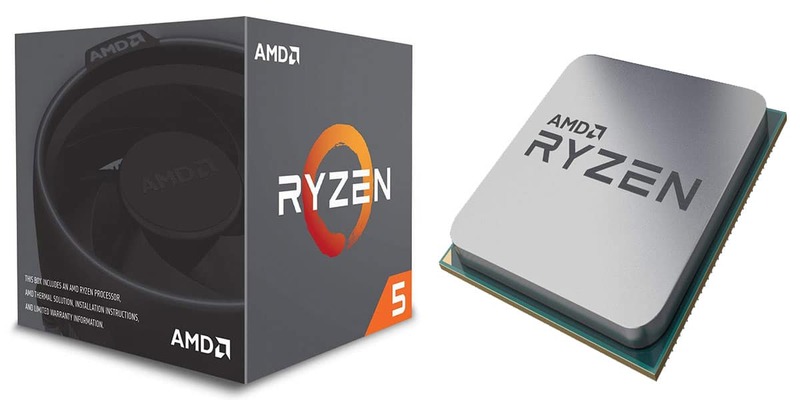 The Ryzen 5 2600 is a 6 core 12 thread chip just like the i7, however, it costs less than half as much. It even has a higher clock speed of 3.9GHz out of the box with no tuning. One place that it falls short of the i7 we looked at is that it does not include integrated graphics. However, as we discussed, onboard graphics are rarely used by overclockers or gamers, as they are much weaker than using an actual graphics card. Another weak point of this CPU is that it has a mere 16 lanes of PCIe, meaning one graphics card is pretty much the limit of your PCIe expandability unless you want to start running your GPU at 8 lanes. That being said the Ryzen 5 has more cache, at 19MB, and supports higher RAM speeds than the Intel competitor. Fast RAM can make a big difference when overclocking since slow memory can starve the CPU of information leading to a bottleneck. This chip is overall a better option for those looking for great overclocking performance than the i7. It has all the things an overclocker looks for, big cache, fast memory, and very few frills. It puts out very little heat for its performance, and is a highly affordable option. One of the great things about overclocking is that you can pull more performance out of cheaper hardware. 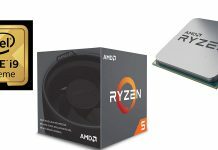 If you’re looking for an inexpensive and affordable CPU to overclock, then the Ryzen 3 is an amazing choice. The 2200G boasts incredible value for its price with tons of features. To start with, it only has 4 cores, and does not have any form of hyperthreading meaning it has just as my threads as cores. However, it comes out of the box with a clock speed as high as 3.7GHz as well as support for memory clock speeds of up to 2667MHz. 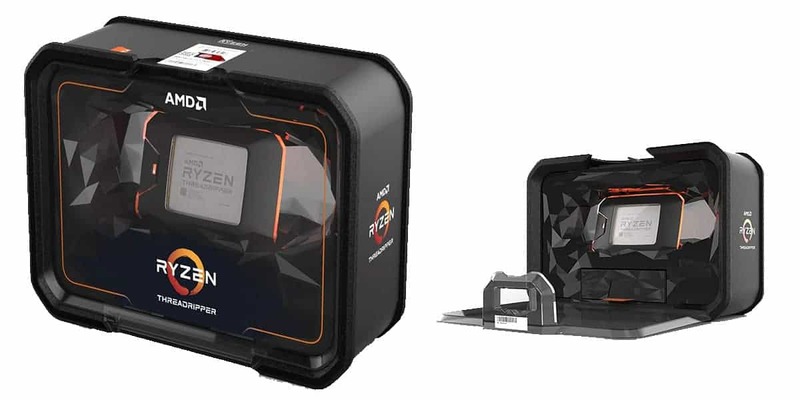 This Ryzen 3 also comes with AMD’s Wraith Stealth cooler included. While this cooler might not be sufficient for heavy overclocking, it will provide sufficient cooling for some tuning of the clock speeds with no added cost, adding to this processor’s excellent value. To further stretch the under 100$ you’ll be spending, it comes with AMD’s VEGA graphics processing onboard. As we have said before, integrated graphics does not entirely replace the need for a GPU, but for less than 100$ this thing will run tons of grames on lower settings. In fact, the integrated graphics on this chip are more powerful than the UHD processors on Intel’s chips. If you’re looking for an affordable CPU that when tuned with overclocking can offer an excellent experience for the price, then this is undoubtedly the chip for you. For some, overclocking is a hobby, while for others, it is a legitimate way to try and get the most performance for their money. Depending on which of these categories you fall into, you’ll be looking for different things. Discussing all of the nuances of overclocking is far outside the scope of this article, but in this short guide, we’re going to try and condense all you need to know about picking an overclocking CPU, as well as the hardware around it. The first thing to look at when picking the CPU is the number of cores and threads, which determines how many simultaneous calculations the processor can perform. The importance of this depends on the workload you plan to use it for. Some workloads are optimized to use many cores and threads while others benefit from fewer, faster cores. Things like rendering and image processing are typically thought to be very multi-threaded workloads, while intense gaming is usually more dependent on core speed. More cores does, however, mean more overall power will be available, so something like a Threadripper will always outperform an i7, despite the i7’s higher per core clock speed. Once overclocked, the cores will run even faster of course, which to a large degree negates any advantage the i7 might have. The other important things to keep in mind when choosing a CPU intended for overclocking are power draw and heat output. Both of these must be taken into consideration when choosing the rest of the hardware in your PC. Cooling: Cooling is incredibly important for overclocking, as not only does an overheating CPU actually throttle itself, turning down the clock speed so it doesn’t die, but cooler temperatures will mean greater stability and a longer lifespan for the part. 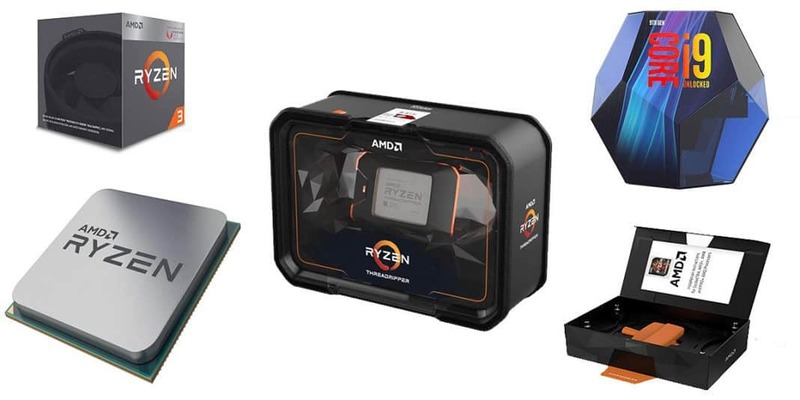 For many overclockers liquid cooling is the only option, however, some of the more modest chips on this list like the Ryzen 3 can get away with air cooling. Running cooler will not only let you reach higher speeds without issues, but will also ensure your chip won’t die anytime soon. Memory: The speed of your memory will have a great impact on the actual performance of your overclocked CPU. Once overclocked, a CPU will be hungry for as much information to process as it can, so slower memory can actually lead to a bottleneck where the CPU has downtime where there is simply nothing for it to do. To keep a CPU fed with data try to get RAM with clock speeds of 2666MHz or higher, the more threads the faster your memory will have to be. Motherboard: Make sure when buying a motherboard that you are picking one that can be overclocked. Some motherboards are simply not compatible with overclocking. Power Supply: As mentioned, some CPUs can draw insane amounts of power when overclocked, like Threadripper. Make sure that your power supply can offer at least 100-200 watts more than the draw of your GPU, CPU, and drives running at stock speeds. Simultaneous multi-threading, or SMT, allows each core of a processor to handle multiple operations at once. This in effect almost acts as a doubling of the number of physical cores, allowing your CPU to operate significantly faster in multi-threaded workloads. How do I actually overclock my CPU? Overclocking is different with every motherboard, but it is always enabled and configured in the BIOS. The BIOS can be reached during bootup. You will see a message briefly when your computer is starting up to hit a certain key to enter the BIOS. Doing this during the bootup will bring you to where you can tune your CPU’s overclock. 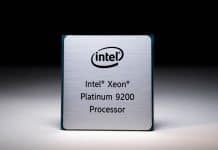 It has a wide array of applications, but no matter what your objective is, we assure you there is a processor on this list for you. If you are overclocking to break benchmarking records or need an unstoppable rendering workstation, then the Threadripper is a monster of a CPU that will crush the competition. 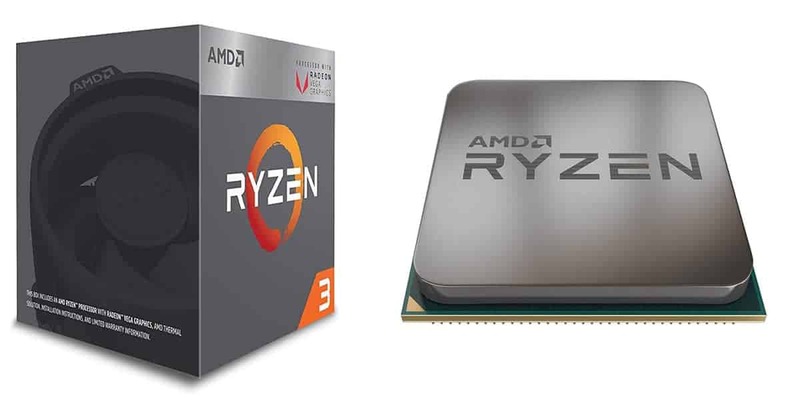 On the other hand, if your aim is to get the absolute most out of your hardware for the money you spend, then the Ryzen 3 is incredibly affordable and will be able to plow through games and even streaming once overclocked. If you have any questions or comments about overclocking, feel free to leave them below. We love hearing from you guys and would be more than happy to answer any questions.